The Logistic Regression is special type regression model in which the response variable also known as dependent variable has categorical values such as 0/1 or True/False. Logistic Regression in reality measures the probability of a binary response as the value of response variable based on the mathematical equation relating it with the predictor variables. Cases where the dependent variable has more than two outcome categories may be analysed in multinomial logistic regression, or, if the multiple categories are ordered, in ordinal logistic regression. The binary response can be estimated using binary logistic model on one or more predictor or independent variables aka features. It lets one to say that the presence of this risk factor will increase the odds of a given outcome by a specific factor and the model is not a classifier but a direct probability model. y :It is a response variable. x :It is a predictor variable. a , b :They are the coefficients which represent numeric constants. The glm() function is used to create regression model. formula :It is the symbol presenting the relationship between the variables. data :It is the dataset which gives the values of these variables. 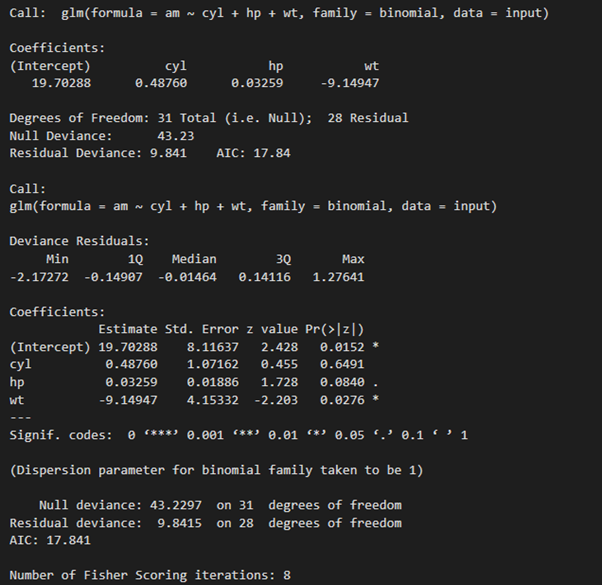 family :It is R object to specify the details of the model and it has a value which is binomial for logistic regression. Now in the feature installation window check and install the following features. The pre-existing dataset “mtcars” describes different models of a car with their various engine specifications. In “mtcars” data set transmission mode (automatic or manual) is described by the column am which a binary value (0 or 1) is. Here we can create a logistic regression model between the different columns namely “am” and 3 other columns – hp, cyl and wt. 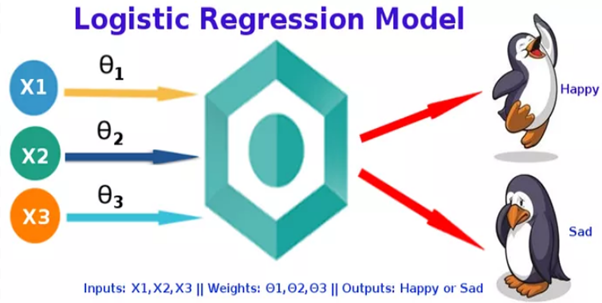 This entry was posted in Class Room Training and tagged Data science training mumbai, Data scientist training mumbai, Logistic Regression, Python Program, R programming, visual studio code. Bookmark the permalink.